A broad spectrum of deep drawing Double Action Hydraulic Power Press Machines is manufactured & supplied by our organization. This range of machines is made in accordance with the international standards and is known for their greater capacity, hassle free operation, easy handling and high productivity. These machines are highly demanded in several industries for making metallic sheets. 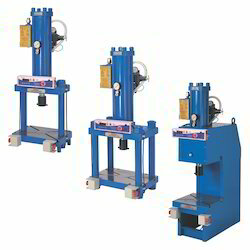 Our company is well known manufacturer of Cold Pressing Hydraulic Press. These cold pressing hydraulic presses are made by using precision engineered components. Our hydraulic machines are known for offering optimal performance & are easy to use. These products are available in market at most competitive rates. 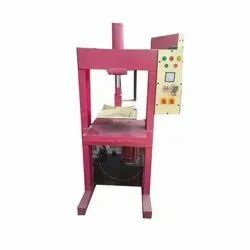 Being an eminent organization in the industry, we are involved in providing a premium quality range of C Type Hydraulic Press Machine.